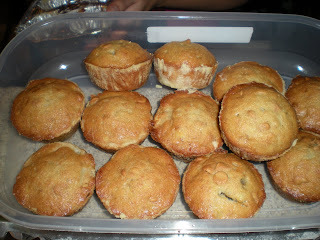 One of my friend from physics has always wanted to bake cupcakes. These cupcakes are incredible, I strongly suggest to bake it yourself. You will be suprised how delicious are these cupcakes. 1. 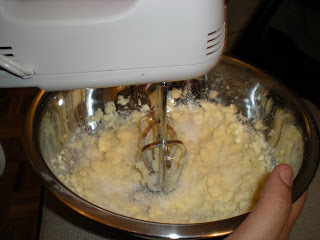 Using an electric mixer, beat butter at medium speed until it reaches a creamy texture; gradually add sugar. 2. Add eggs, banana and vanilla, beating until blended. 3. In a bowl, mix together flour, baking soda and salt. Add alternatively flour mixture and milk to banana mixture, beginning and ending with flour mixture. Fold until blended after each addition. Fold in the Reese chips. 4. Slightly butter and flour the baking cups in muffin pans (just a very thin layer, this will prevent from adhesion of the bread to the moulds). Spoon batter into pans, filling cups two-thirds full. 5. Preheat oven to 350F. Bake for 25 minutes. Insert toothpick to check for doneness. Let it cool for a few minutes. 6. Spread with frosting, if desired.